Sanitation is key to limiting the available sources of food for roaches. Make sure to vacuum all cracks and crevices to minimize food crumbs. Why Should I hire a pest control company to treat my home? 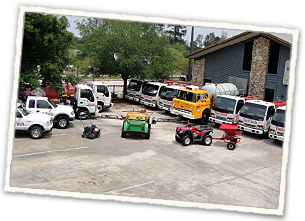 Why should I choose Turf Tech Pest Control over other pest control companies? Turf Tech is a locally owned and operated company that has been around since 1978. We are a family business and we pride ourselves on our customer service. So many companies these days, both inside and outside of our industry, focus only on their bottom line. As long as they are gaining more customers than they are losing, they are satisfied. We, on the other hand, strive to keep our customers for life. We do that by combining expert knowledge of our industry with excellent customer service. What indoor pests does Turf Tech treat? If I sign a contract, can I cancel it at any time? If yes, is there a penalty to do so? You are more than welcome to cancel your service at any time (although we don't want you to), and there is no penalty to do so. We want our customers to stay with us because they want to and are happy with our service, not because they are locked into a contract and can’t get out. How many pest control treatments per year does Turf Tech provide? Initial Treatment - We start off by scheduling a time that is convenient for you to be home, so that we can inspect and perfrom the initial pest control treatment on the inside of your house. During this initial treatment, we apply gel bait in all of your cabinets, and in your pantry. We also take off all your switch plates around light switches and electrical outlets to apply a Boric Acid powder in your walls. The final thing we do inside is spray all entry points to your house. Once done with the inside of your house, our technician will begin treating the outside. Quarterly Treatments - Every three months following your Initial Treatment, we will come back to your house and do an outside perimeter treatment and inspection. Our technician will once again be spraying the base of your house, around all windows, doors, any entry points, and under the eaves of your roof. Because the liquid chemical we apply outside your house is subjected to the weather, it has a tendency to break down a lot faster than the chemicals we put inside your house. Quarterly treatments not only allow us to put down fresh chemicals, but they also give us an opportunity to inspect the outside of your home. By doing so, our technicians are able to check for any changes to the outer perimeter of your home and can take a proactive approach towards anything they find out of the ordinary. Are the treatments harmful to my pets? We strive to use the safest chemicals available to us and have not had any experiences with customer’s pets getting sick.